Thank you so much for another lovely holiday. Can’t wait to come back again next year! We have had a wonderful week here in Cornwall. The welcome we received from Tanya, cream tea and beautiful flowers were really appreciated – totally unexpected. 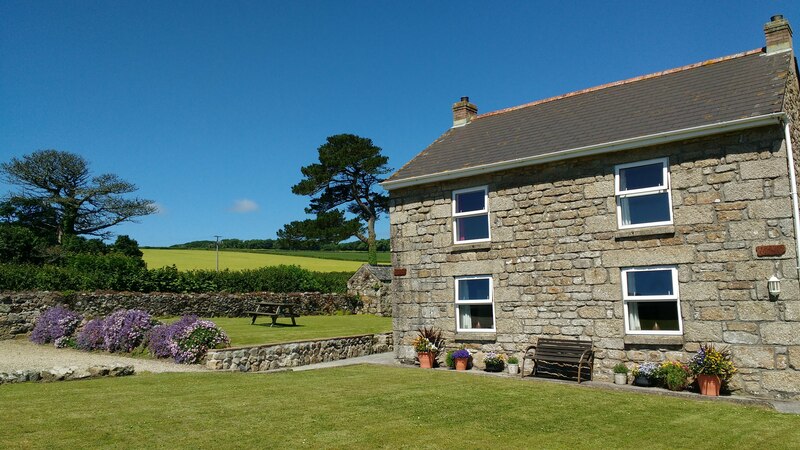 Horseshoe Cottage is very comfortable and well equipped. We will definitely sing the praises of the cottage to our family and friends and hope to visit again ourselves. Many thanks again Tanya for your great attention to detail. Yet another brilliant holiday here! After missing a year we were delighted to find the place as cosy and comforting as it always has been. Thanks again for a great week. Ex-pats visiting family in the UK from Detroit, Michigan. A relaxing and thoroughly enjoyable stay! Can’t wait to visit again. Thanks for everything. What a fabulous holiday – beautiful weather and as always, a lovely cottage and welcome cream tea. We had a great time on the open top bus and also really enjoyed Trebah Gardens. Thank you Tanya for your welcome and your lovely cottage. Our seventh visit here and once again our time here has been wonderful. Lovely walks, beautiful gardens and beaches. Thank you once again Tanya for the cream tea and flowers on arrival. We have appreciated all of the new things in the cottage, which is perfect. A real home from home. Both cottages are equally lovely to stay in. We will be back again soon!